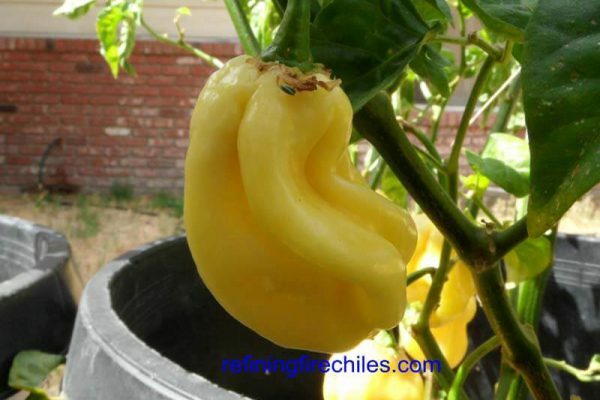 This pepper was originally obtained by a renowned chile farmer from Italy named Luigi Mauriello. 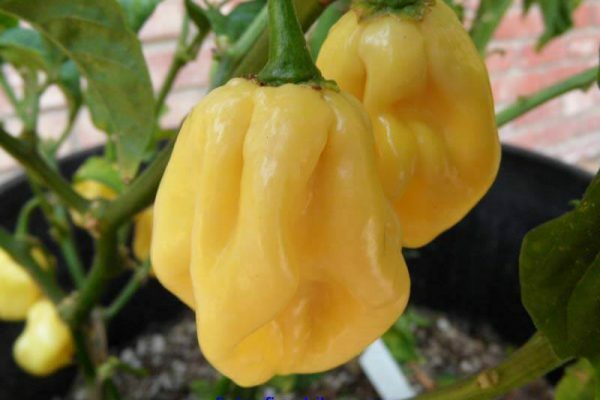 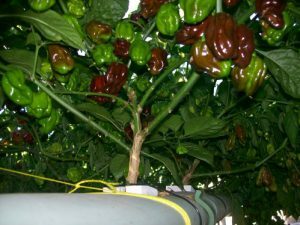 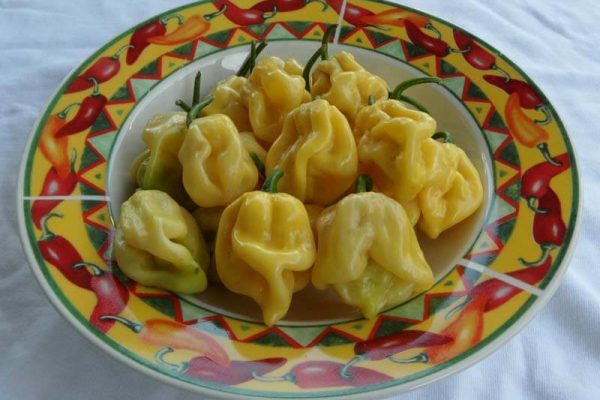 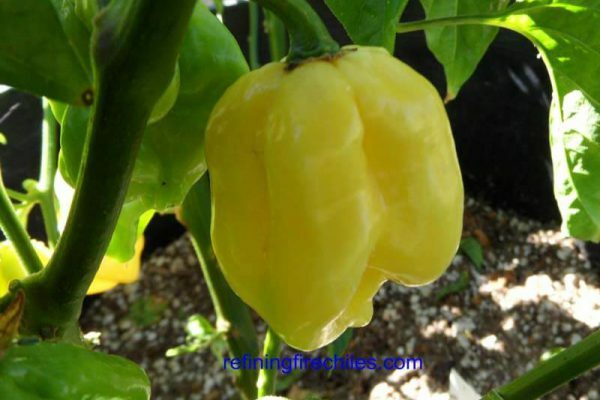 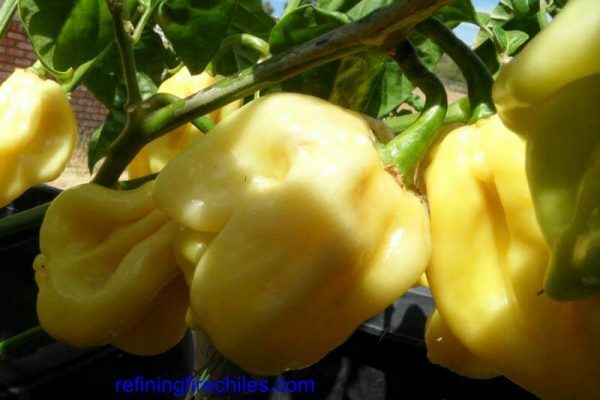 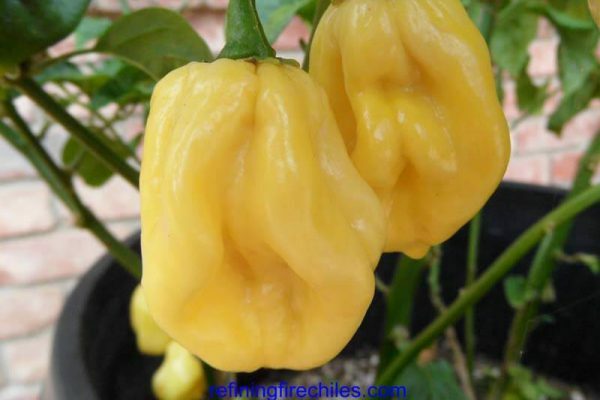 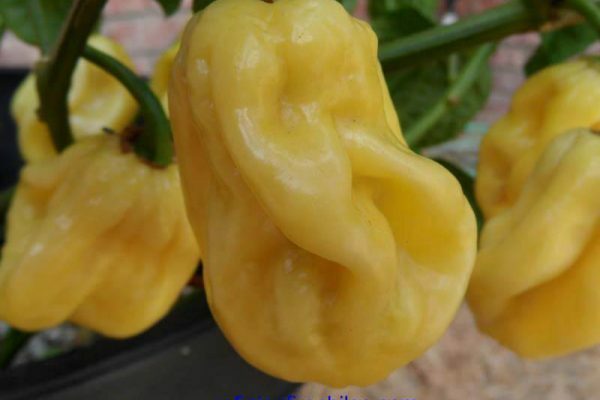 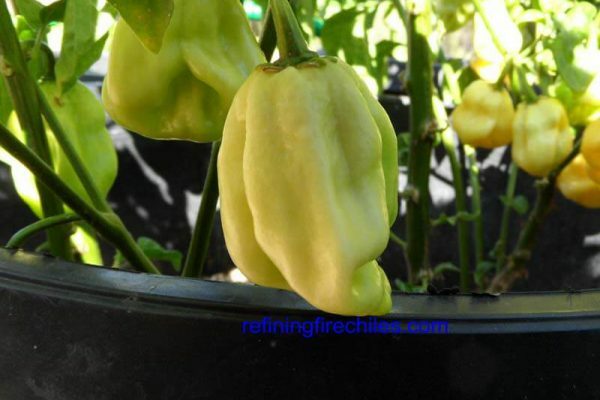 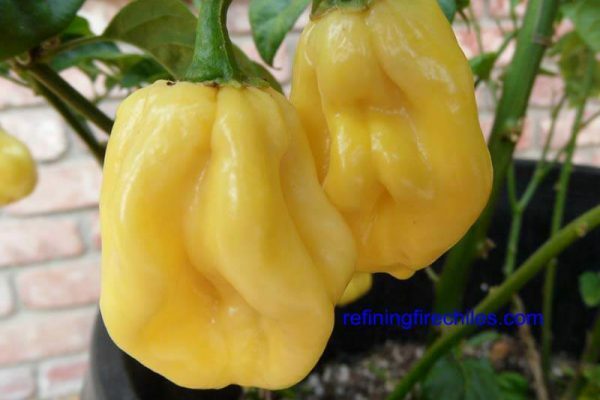 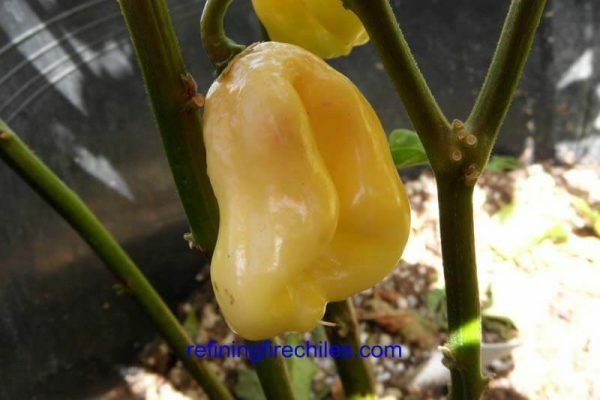 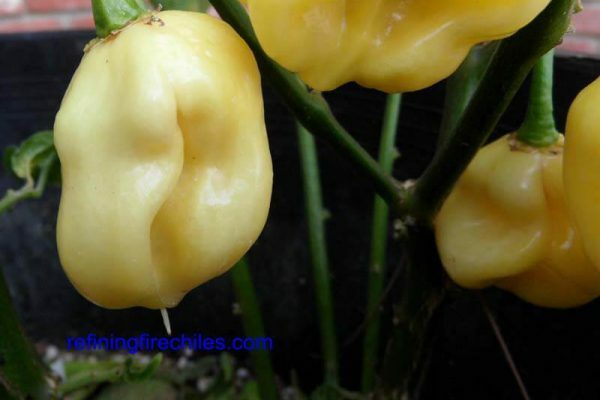 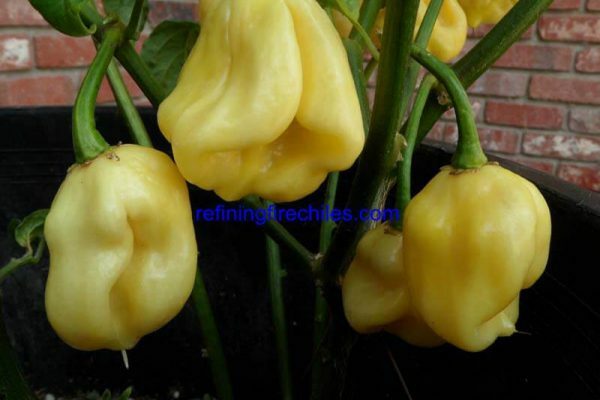 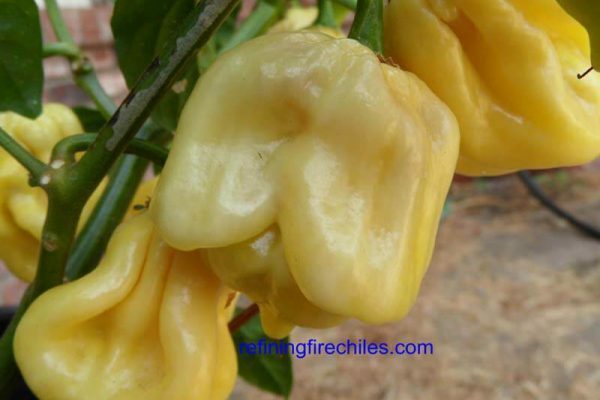 The Habanero White Giant or Giant White Habanero is a variety that he found at an Italian trader 20 years ago (1992-1993), this variety comes from an unknown area of the Caribbean. 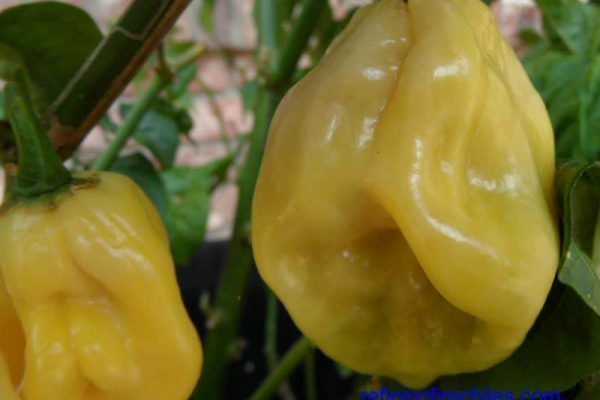 The trader has no more of this variety because he has failed to regenerate the seeds, so now Luigi possesses the true original variety. 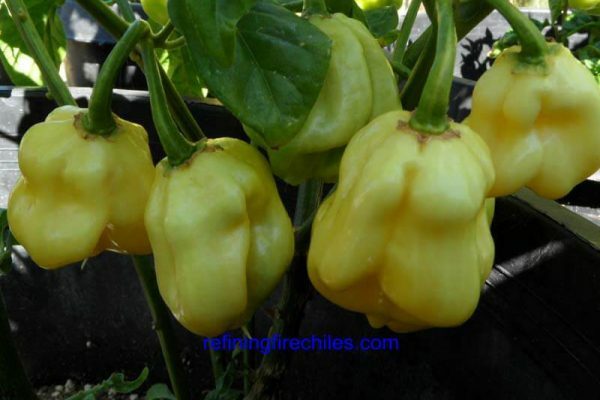 Luigi distributed the seeds of this variety all over the world, but few people have managed to cultivate it, because it is a plant quite difficult. 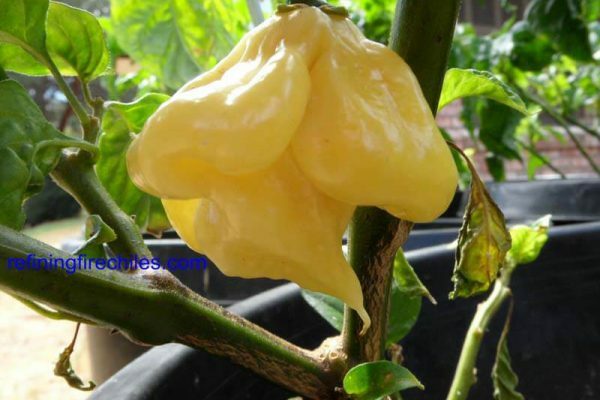 A few people have renamed it the White 7 Pot or 7 Pod White. 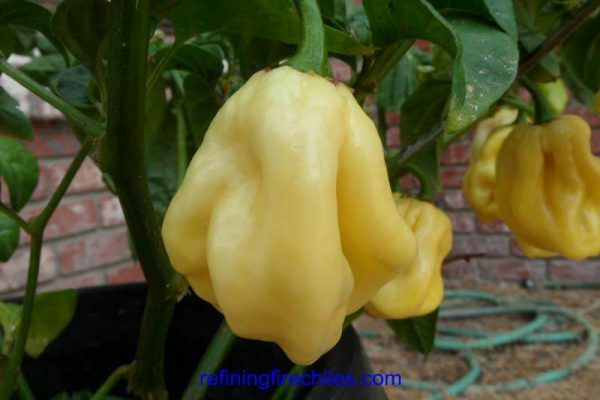 When you cut open this pepper it does not have the thick membrane of a 7 pot or superhot chile. 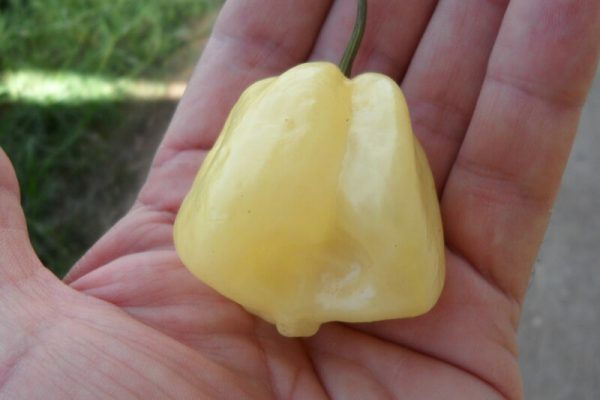 When you taste it you will find it only has the heat level of an average Habanero. 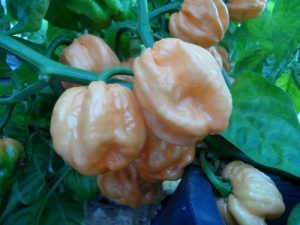 So being part of the Trinidad 7 Pot family is not possible. 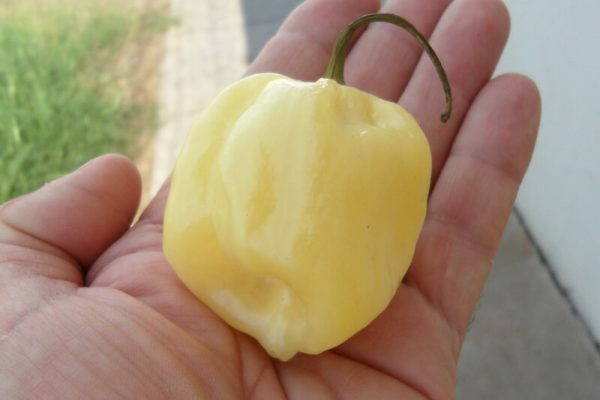 There is no White 7 Pot in existence to Luigi’s or my knowledge. 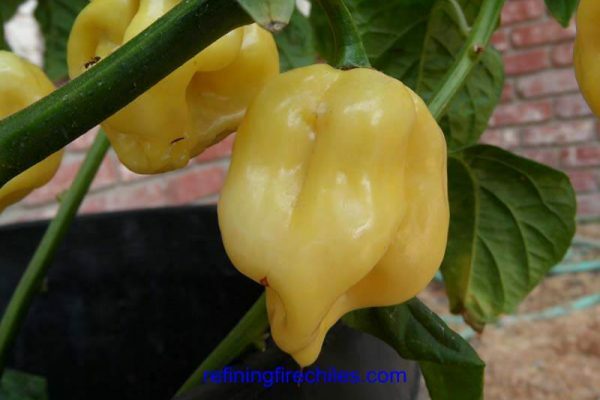 Just people trying to call his pepper something else for marketing purposes. 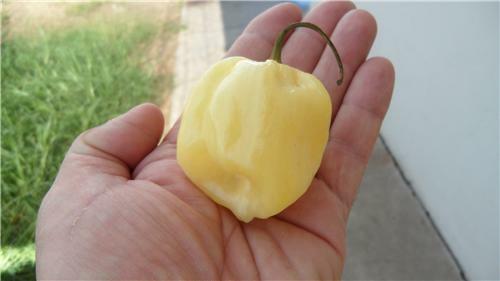 The Giant White Habanero has nice citrus tones and is very tasty. 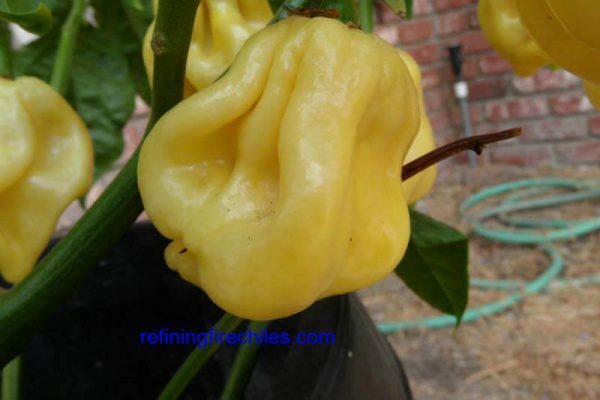 Pods can get huge almost 2 inches in diameter. 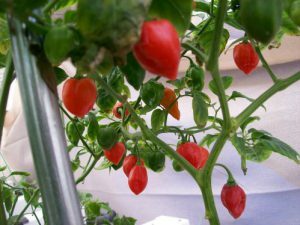 Once plants are established they will be productive. 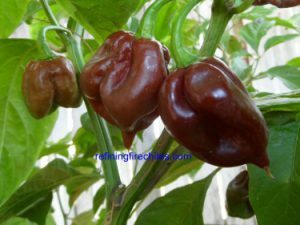 However they need lots of care when young because they are sensitive to disease and pests. 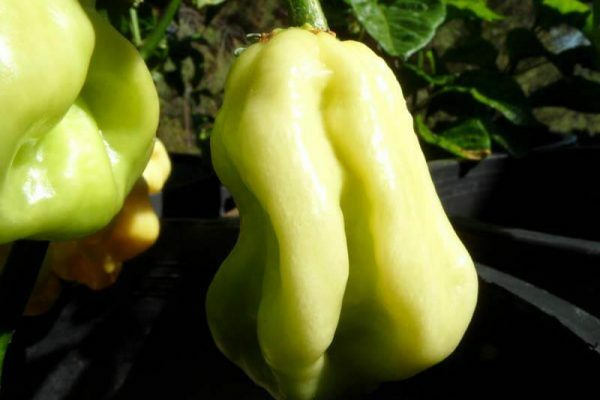 This is most likely a weakness due to genetics.